At this house we do not have a fireplace, and I struggle every year to find a place to put our stockings. 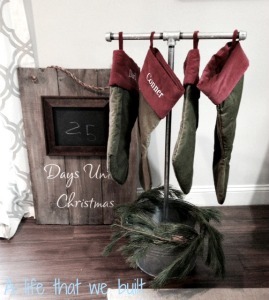 This year I saw a stocking holder that sat on the floor and was available at Ballard Designs. The price was $119! No way was I paying that price. So off I went to create my own. This project took less that 30 minutes to make and cost under $20. First you need to make a trip to the hardware store and buy some galvanized pipe. This will be in the plumbing section. They sell it in precut sections. For the T shape, I used a 36″ long piece for the leg of the T, and two 8″ pieces for the arms of the T. You will also need two end caps, a T shaped connector and a round support for the bottom. I choose to use 1/2″ pipe for this project. They also have 3/4″ and bigger. Whatever you choose, make sure all your pieces are the same width. You will also need a piece of wood for the bottom. I had a piece at home. Mine was 10″ by 10″ by 1″. 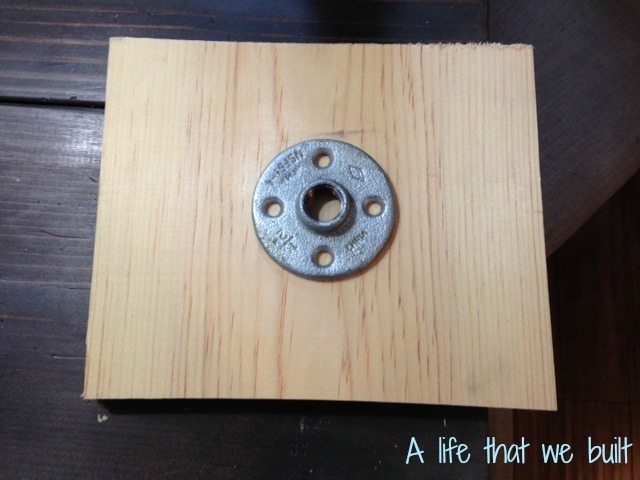 You will need four wood screws to attache the round support base to the wood. 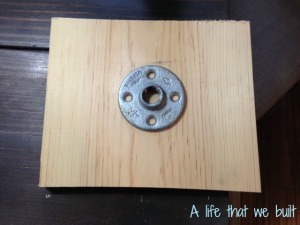 Start by attaching the round support to the middle of the wood base with your four wood screws. Then screw all your pieces together and thats it! I played around with different bottoms. 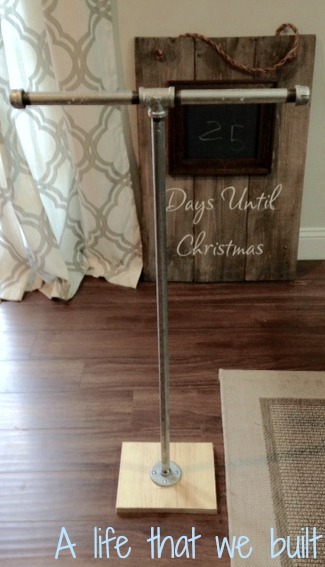 A galvanized bucket…..
Or by a suggestion from my friend, a burlap sack….. I untimately chose the sack! This was a great project!! 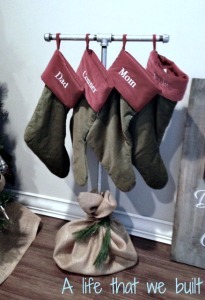 We chose a taller piece of pipe since our stockings are longer but it was SO EASY!!!!! THANK YOU!!! 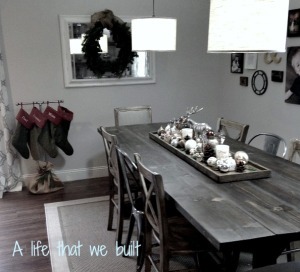 <3 pinterest win! What a great idea, I am so glad it was easily adaptable for you, and it was super easy! We love this idea so much. We had to do it our selves.